A search for a way home becomes a journey into Denidaâ€™s past. When his son Daniel is transported by an ancient gate, Denida follows thinking it will be an easy matter to return home. As they travel from world to world, Denida starts to wonder just who he is and why almost everyone knows more about him than he does himself. At home his wife and friends send a robot to follow Denidaâ€™s tracks as treachery undermines their efforts. 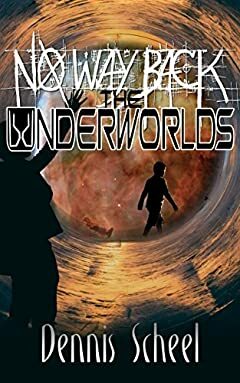 Through magic, treachery and darkness, Denida fights his way towards home, no longer a matter of missing his wife, but of preserving his home and all the underworlds from evil.